One Friday evening per month we turn out the lights, turn on the strobe lights and shoot at glowing targets. Want a different Friday night activity – join us for an hour of shooting fun. Cost: $30/shooter (equipment provided if you don’t have your own). Call for information. Cost: $250/hour for up to 15 shooters, $300/hour for 15-20 shooters. $150 deposit required. 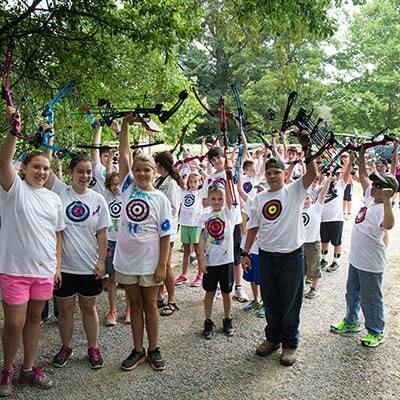 Celebrate your birthday, bachelor/bachelorette, anniversary, reunion or other party at Archery Academy! We have plenty of themes like Brave, Hunger Games, Avengers, Zombies, Balloon shooting and more! Packages starting at $275 for an hour of shooting and 45 minutes of private room use. $150 deposit required. Equipment provided. 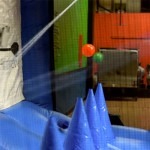 Rent our Hoverball system for your own party or event. 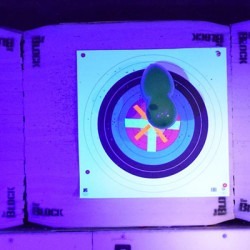 Hoverball is an inflatable archery target that blows plastic balls into the air. 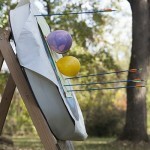 Using foam tipped arrows, you shoot the balls out of the air. Cost: $200 to rent (offsite) for 2 hours with an instructor and equipment or $350 to rent all day without an instructor. Please call for our rental agreement information and requirements. 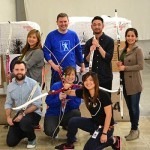 Starting in June, we’ll offer archery camp. Each camp is usually offered for a week, Monday-Friday, for 1.5 hours. Each day we’ll pick a new aspect of shooting upon which to focus and campers will learn the skill and then practice. The final day of camp involves a little competition with awards. Cost: $120. For more information or to reserve a spot, book today.